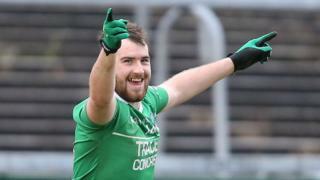 Sean Quigley's late goal helps Fermanagh surprise Derry in Sunday's Dr McKenna Cup game at Brewster Park. Fermanagh manager Peter McGrath was delighted with the team's "committed" display while Derry manager Brian McIver felt that the opposition "wanted it more". The win left Fermanagh with maximum points from their opening two games and only a heavy defeat by Donegal at Ballybofey on Wednesday will put the Ernemen's semi-final spot in doubt.